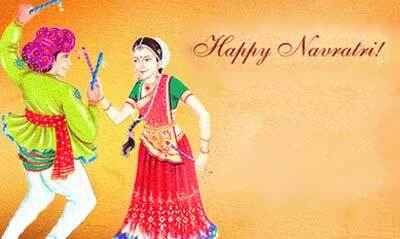 Navratri is one of the major Hindu festivals of India and reminds Dandiya time for girls who love dance. It is a great time to organize a Navaratri party for your friends and relatives. Yoovite.com is there to help you in inviting your friends and relatives to the Navratri festival and Durga pooja. You can craft an invitation online and send them to your guests with all the necessary personal greetings. Navratri is a traditional festival and wearing traditional clothes is very important. It is usually the traditional Garba attire for everyone. You can have the girls bring the Dandiya sticks along and distribute it to anyone who wants to take part in the Dandiya dance. Don’t forget to to use the ‘mauli’ and tie them to the Dandiya stick with some tiny jingle bells. If there is Dandiya dance, there obviously will be music. Get at least two music albums pertaining to the Dandiya dance but you can also have other songs for the dance as well. Falguni Pathak’s Navratri songs are the best option for Dandiya. You can also play soothing music of Pt. Ravi Shankar in the background while people are having food. 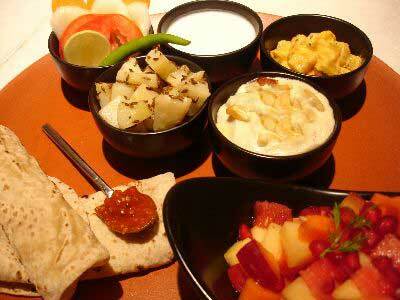 Food is another important part of Navratri. Most girls keep fast for days before the festival. So it is kind of an event when this fast is broken. The menus are often simple and vegetarian. You can prepare cucumber and green chutney sandwiches, chips, juices and Kaju Katli. Another set of items you can prepare are idli and mini idlis, mild green chutney, mini samosas, bugles or doritos, strawberry or banana milk shake and tiny gulab jamun. Arranging for a potluck dinner would be a great way to enjoy the food as well. Ask your friends to bring a dish. People love receiving gifts during this day. You can gift ghungroos to little girls and scarves to little boys. For the big ones, you can think of gifts depending on their likings. Buy clothes for all the elders. The best way to decorate the house is to use candles and sophisticated color themes for Navratri. This will create a nice ambiance. Apart from Dandiya dance, you can have other activities in India celebrations as well. Quiz is one of the best games you an play during this festival. You can have your guests guess the names of Devi Durga since most people really are not aware of the various names of Durga. As Navratri gives importance to Durga, it is good to have some knowledge measure. As usual playing antakshari is a nice time-pass.